Hello there! Welcome to today's edition of TC Daily. If this mail was forwarded to you, please take a moment to subscribe so you don't miss out on future editions. 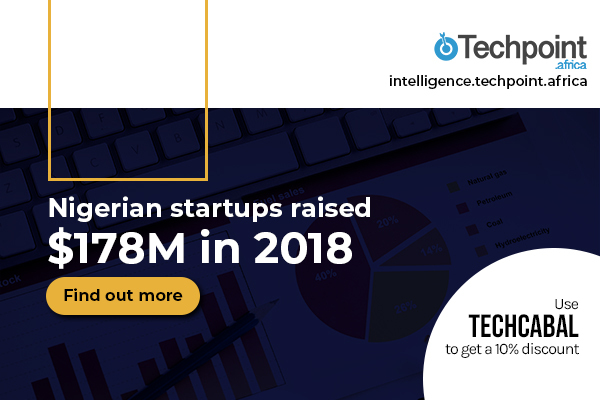 Techpoint Africa is set to release its Nigerian Startup Funding Report 2018. It is a comprehensive breakdown of the funding activities and trends within the Nigerian startup space last year. The report costs $50 but you can get a 10% discount when you pre-order using the coupon code, DISCOUNT, here. 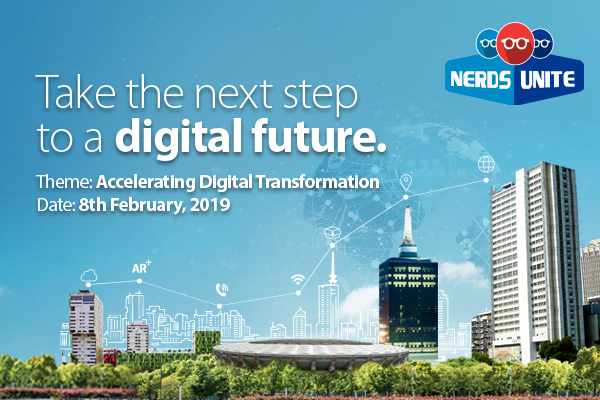 South African firms Newtown Partners and LionPride Investment Holdings have announced plans to raise USD 37.4 million for a co-managed Section 12J technology investment fund. The LionPride Agility fund will focus on impact investing and emerging technologies. SMEs that fall within fintech, agri-tech, on-demand services, business process outsourcing, renewables, healthcare, 4IR and ed-Ttch will be the focus of the LionPride Agility VCC Fund. Nairobi Garage has launched a new premises in Karen bringing the number of its state-of-the-art hubs in Nairobi to three. The existing Nairobi Garage premises are situated in Kilimani and Westlands. Nairobi Garage is a premium workspace for innovative and growing businesses in Kenya, offering business support and networking opportunities, in addition to their cosy workspaces. South African Artificial Intelligence (AI) software and solutions company, Cortex Logic, has secured investments to expand its operations to other parts of Africa, UK and USA. Founder and CEO Dr Jacques Ludik says the investment is not only an endorsement on Cortex Logic but also points to the fact that enterprises are now deploying artificial intelligence to secure a competitive advantage. Starting in March, 2019, the Africa Blockchain Alliance in partnership with ConsenSys Academy, will commence its Blockchain Developer Program. The course will cover Ethereum concepts, introduce key developer tools and critical aspects of smart contract and dApp development. If you'd like to join the program, click here for more registration details. Konga says it has launched its pay-on-delivery service in Nigeria's Federal Capital Territory, Abuja. Co-Chief Executive Officer (CEO), Konga Offline, Prince Nnamdi Ekeh, says asides a drive for customer satisfaction, the online retailer is looking to expand its operations to more states in Nigeria. Konga, one of Nigeria's biggest e-commerce companies, was bought over in February 2018 by technology company, Zinox, in what experts say was at a loss. The India STEM Alliance has collaborated with TechGen Africa for its first strategic partnership in Africa. The India STEM Alliance and TechGen will collaborate in capacity building, setting up centres of innovations in schools and in the community. TechGen has trained almost 4000 students on STEM related skills and also organized the first blockchain training for teens in Nigeria and second to Kenya in Africa. Dotun Olowoporoku is joining Novastar Ventures as a Principal. Dotun is the founder of Starta and hosts the Building The Future podcast. Novastar Ventures invests in early-stage businesses that enable market access and provide economic opportunities for low-income, mass market populations in Africa. He's penned a beautiful piece about his journey to Novastar Ventures, from founding an online food delivery platform in 2012, to joining Ventures Platform in 2018. Despite gains made in driving women’s equality especially in the workplace, the tech ecosystem in Nigeria, and frankly, the rest of the world, could still use a lot of female participation. We are making a map of initiatives that work to get girls and women into tech across Nigeria. If that's what your organisation does, fill the form to tell us about it so it can be featured. In case you haven't heard, Google+ is shutting down on April 2nd instead of August 2019 as they had announced in a blog post. Google said in the blog post the decision to shut down Google+ was made “due to low usage and challenges involved in maintaining a successful product that meets consumers’ expectations.” Dignited has a few suggestions about what you can do if you have an account, before the shut down. Is the Lagos Tech Sector a Bubble? Freelance journalist, Ayodeji Rotinwa, in this piece for Heinrich-Böll-Stiftung Nigeria, argues that while there are indications of successes in the sector, the hype does not justify what is on ground.